It is critical for business and professional brands to prepare for a reputation management crisis before it happens. One bad headline or news story can turn clients away and keep your business from prospering. Don’t let a crisis overtake your business. 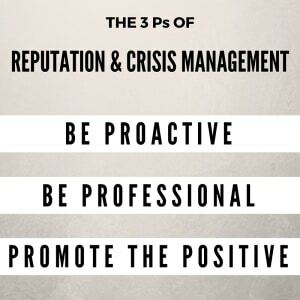 Follow the Three Ps for protecting your reputation and preparing a game plan. It’s always best to be proactive when it comes to protecting your reputation. 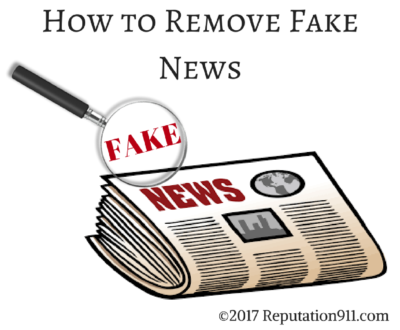 Do you know how you would respond to a negative review or news article? 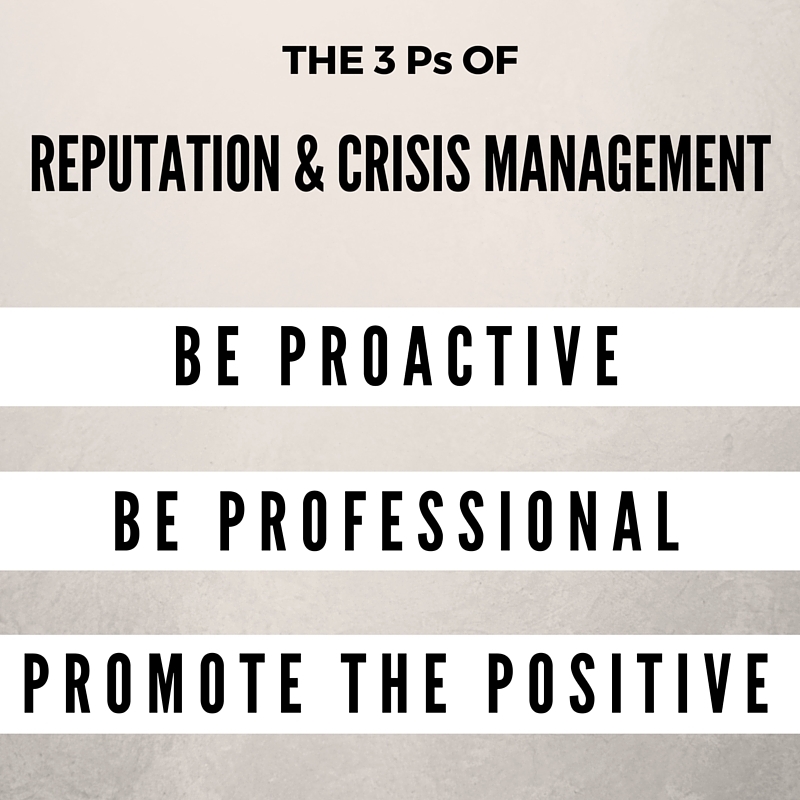 Who is on your Crisis Management Team? 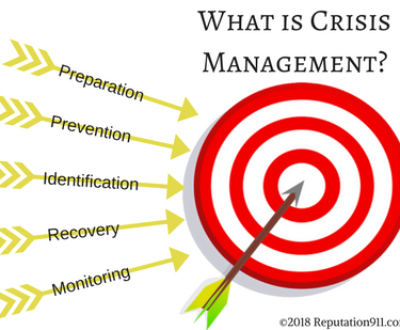 Is your team prepared and ready to respond in case of a crisis? When you have a crisis management team and plan in place, you know you’re ready. Once you have a crisis management strategy in place, it’s important to be professional when something actually happens. Identify the crisis. Although it may be tempting to ignore a crisis, not dealing with it will only make it worse. Acknowledge the issue with your team, and develop a game plan for how you will deal with it moving forward. Don’t add fuel to the fire. Before you react publicly, think about how your reaction will be perceived. 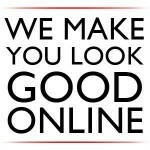 Remember that everything can be captured and posted online instantly. Don’t add fuel to the fire by saying something you will regret. Remove the bad (if possible). 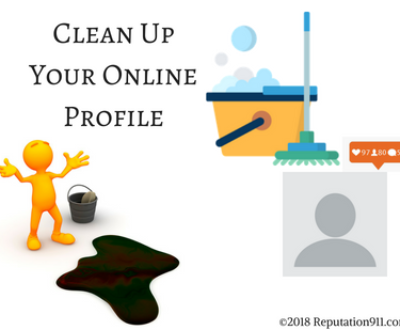 If someone has posted something negative about you online, try to contact them to ask for the content to be removed. 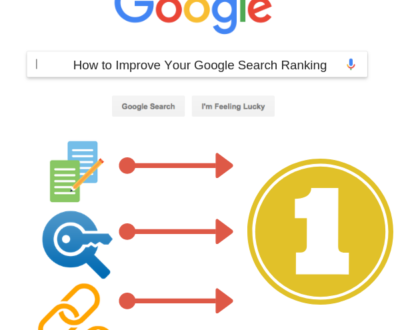 The legal and investigative team at Reputation911 can also apply pressure to website owners to permanently remove negative content and prevent repeat occurrences to give you long term protection and peace of mind. Fix what you can. Try your best to mitigate the situation. 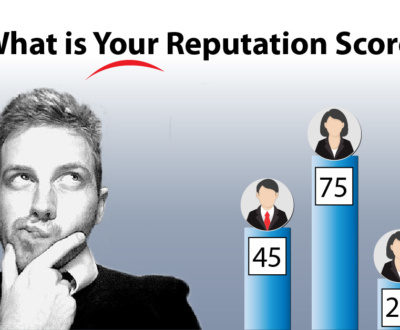 If you’re a business who has received bad press a proactive response will show you care. 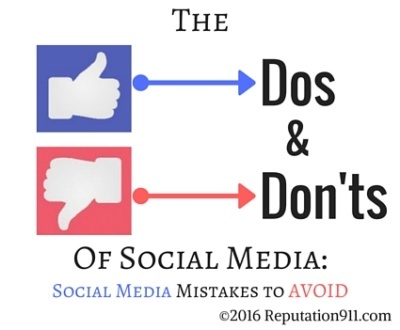 Whether you’re proactively building your online reputation, or bouncing back from an online crisis, promoting positive content is key. 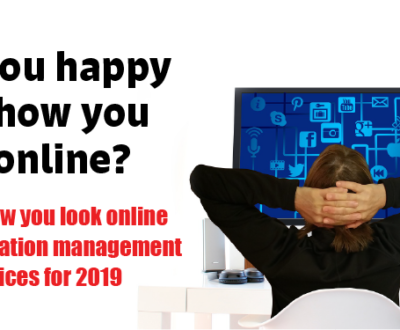 Creating and actively maintaining relevant, current content on your websites and social media platforms is the best way to boost positive search results for your business and brand online. 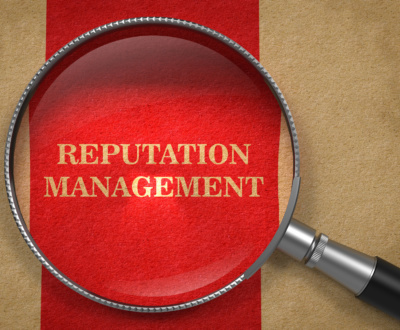 Are you ready to protect your brand with a Reputation and Crisis Management Plan? 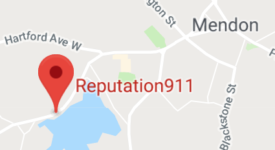 Speak to a Reputation911 engineer to begin building your strategy today.